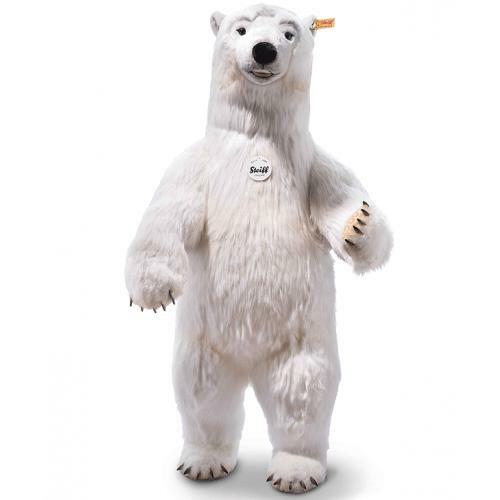 Studio Polar Bear is from the Steiff Classic collection and is hand made in beautiful white soft plush. 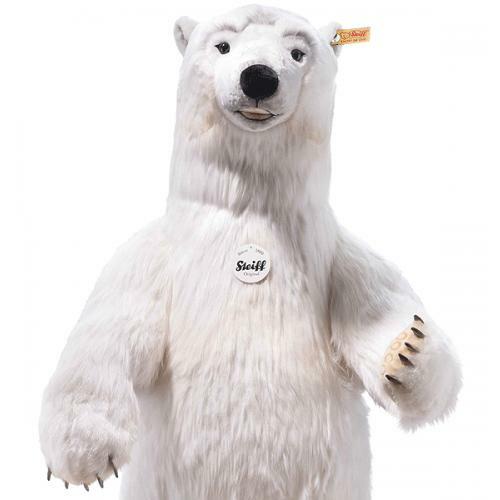 This stunning Lifesize Polar bear carries his famous makers trademark, Button in Ear along with the Yellow ear tag. A 50% DEPOSIT WILL BE REQUIRED ON THIS ITEM! 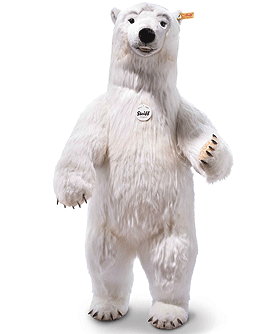 The 195 cm tall studio polar bear makes a truly majestic impression. The love that went into every detail of this majestic polar bear is visible when you stand before him. He's white like polar bear should be. He has a characteristic black nose and paws and soles coloured brown. Pink, black and grey create contrast on his body and face. A prime collector's item that is sure to capture the imagination of all who lay eyes on him.